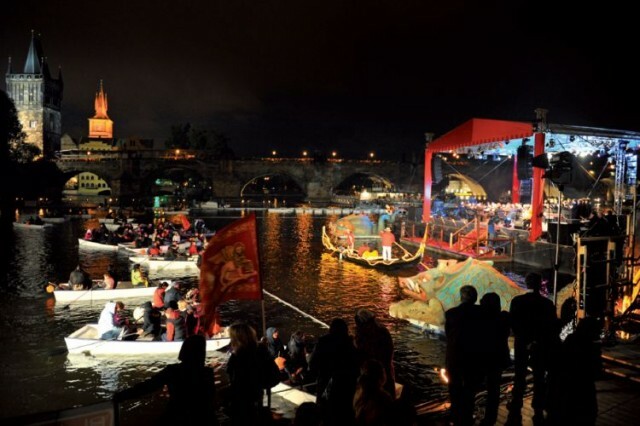 The ship Czech Boat was launched in 1956, in 2007 underwent a complete renovation, and since then has been riding the waves of the Vltava River. The ship offers a cozy yet impressive space, suitable for family celebrations, weddings, parties, and corporate events. The interior space can be adjusted to fit your requirements, e.g., projection equipment. The cabin can accommodate 60 guests and the sun deck offers an unforgettable view for up to 70 guests. The excellent galley will prepare hot and cold snacks and drinks will be taken care of by a fully equipped bar. Boat Facilities: toilets, bar, kitchen, galley. Experience fine dining with a beautiful night of sightseeing in Prague, all to the sound of live music. Choice of the most interesting monuments of Prague from the surface of the river. A short trip to gain a unique perspective of Prague. 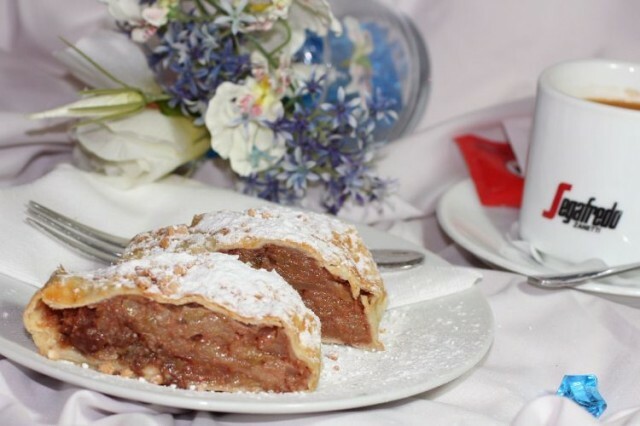 Stop by at our boat café for a delicious apple strudel and coffee/hot chocolate or tea. 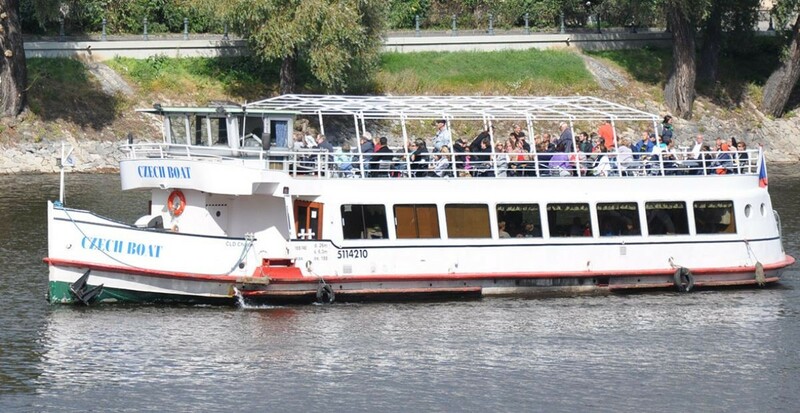 During this hour-long cruise you can relax, have a coffee and dessert while enjoying the views of Prague.